I've gone to the trouble and collected some of the best behavior think sheets from around the web. These are great classroom management tools that will help you set up a behavior plan when other methods haven't worked. 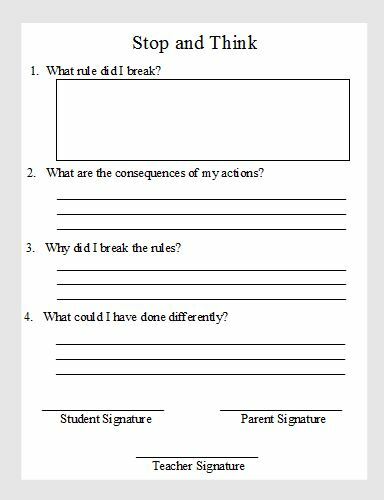 This think sheet is perfect for helping students learn about the cause and effects of their behavior. This think sheet is from Corkboard Connections.